Manjul Bhargava Fields medal: A Rubik’s cube inspired Gauss law of composition extension. How a toy inspired an award-winning mathematician’s Eureka moment. Rubik’s cubes can be life changing. Manjul Bhargava has just won a Fields medal, the most coveted prize in mathematics. Now 40, he was one of the youngest people to be made a full professor at Princeton University, at age 28. 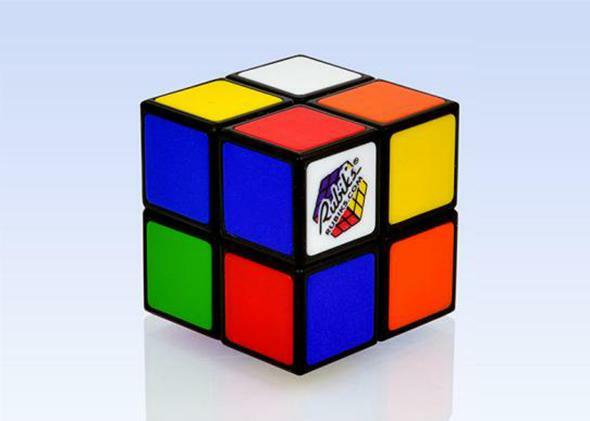 He explains the link between Rubik’s cube and his groundbreaking work in number theory. The award citation says that you were inspired to extend Carl Friedrich Gauss’ law of composition in an unusual way. Can you explain what that is, and what you did? Gauss’ law says that you can compose two quadratic forms, which you can think of as a square of numbers, to get a third square. I was in California in the summer of 1998, and I had a 2-by-2-by-2 mini Rubik’s cube. I was just visualizing putting numbers on each of the corners, and I saw these binary quadratic forms coming out, three of them. I just sat down and wrote out the relations between them. It was a great day! You have proved several theorems. Do you have a favorite? Mathematicians often say that choosing a favorite theorem is like choosing one’s favorite child. Although I don’t yet have any children, I understand the sentiment. I enjoyed working on all the theorems I have proved. This is long overdue! Hopefully in a few years we will not even need to discuss this, as more and more females receive the award. I am honored to be a recipient in the same year as Maryam. It has been a pleasure to know her—we overlapped for a year early in our careers at Harvard, and later at Princeton. Her work is absolutely fantastic. I hope the media will not speak of her only as a top-rate female mathematician, but also as a top-rate mathematician who is doing truly groundbreaking work.